Automatic Lubrication Systems Training: FLO lubrication training courses tailored to your specific concerns & taught through classroom seminars, workshops, demonstrations & hands-on shop exercises. – FLO Components – Automatic Lubrication Systems Specialist in Ontario and Manitoba. Automatic Lubrication Systems Training: FLO lubrication training courses tailored to your specific concerns & taught through classroom seminars, workshops, demonstrations & hands-on shop exercises. FLO training courses are taught by industry experts with over 75 years of combined working and teaching experience in the field of industrial lubrication. We are in the business of helping people reap the benefits of better lubrication procedures and practices for their companies. Through classroom seminars and workshops, at your location or in our Mississauga location, your company’s specific lubrication problems will be discussed and analyzed. We work with your people to provide an objective process to determine what can be done to solve your issues now and over the long term. Classroom lectures, demonstrations and dynamic, hands-on shop exercises are used to teach how lubricants and automatic greasing systems should work in conditions as demanding as the Canadian environment. Course content is tailored to your specific concerns. When your maintenance people or plant supervisors apply what they learn, your payoff is immediate and permanent. 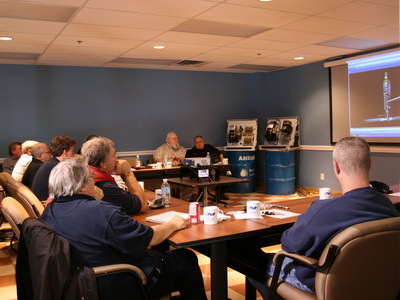 Throughout the year, FLO conducts “Lube Basics” seminars in cities across Ontario and Manitoba. Each 1-day “Lube Basics” Seminar is designed and presented as an unbiased, 3rd party lubrication training program, and maintains a balance of theory and practical instruction – time allocation: 50% in class, 50% “hands on” training. Find out more about an upcoming Lube Basics seminar near you.